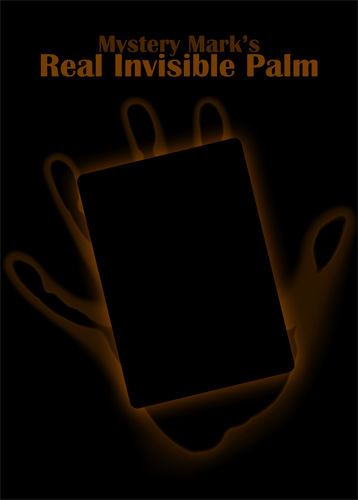 The 'Real Invisible Palm' is exactly what it is: the 'Invisible Palm/Open Travellers' plot by Larry Jennings, yet "for real". Only four cards are used, no deck is needed, and the magical moments from the original routine are not only retained, but have been improved as well. Each card magically travels from the hands to the table, one at a time. Instructions for the classic 'Open Travellers' routine are included. Mystery Mark's 'Real Invisible Palm' routine with tips and subtleties to make the routine a true worker and ways to eliminate any actual palming from the routine. Mark's version is the best of the best of the best....x100000000000 of Invisible Palm ! Mark had a performance video on his youtube channel, but since YouTube has suspended his channel for no reason, we can't see it. I hope he will be able to reupload all of his videos in the near future. Would Bautista's performance be close to the performance techniques taught or has it been improved or changed in some way? Basically with this you would be able to do exacly what Bautista does, but you will be taught a more performable version, one that's better on the angles, etc. I guess you could call it improved, but it was already improved before his performance. $25 seems pretty steep for a single effect. You guys should check out Arnaud Chevrier's handling of the classic Invisible Palm. If you are going to pay for any version I think that buying the Larry Jenning's Book, "The Classic Magic of Larry Jennings" is the way to go as you will get so much more for your money. Depends on how you look at it. This is an improved re-release only brought out because of the extra demand, and a very limited production as for that (I think there literally is only 1 copy left to be sold). The one 'Invisible Palm' video I've always sworn by (as can be found elsewhere on this board). Arnaud is the best. Here's my performance of that Chevrier's version. I just figured it out by watching his performance over and over. (I changed a few moves to suit my own style but its virtually the same). Pretty good, but you might keep it more open and cleaner on the eyes. Because you do many moves with both hands at the exact same times, these may seem suspicious and misdirection'ish while the effect as a whole allows the magician to be extremely open and fair about everything. Nice cards though! But you won't get my version then. While with this DVD you will get Larry Jennings' too. But sure, many magic books are cheaper and usually include more magic. Also has to do with their production costs and the demand nowadays though, but if anyone asks me whether they should learn magic from video or books, I will always suggest books for various reasons (like interpreting things differently and not being able to imitate the magicians' performances). Thanks Mark - Those cards are actually not mine. I had posted up a video performance of this effect and a friend of mine accused me of camera trickery. In response I told him to send me any pack of cards and I would re-record it to prove that there were no gimmicks, no camera trickery. Needless to say he was satisfied! In terms of my handling - I get great reactions from spectators even magician friends who see my handling. Do you have a video somewhere of your version? I'd be curious to see the difference and how you deal with the last card. I see that your youtube account was suspended as you mentioned - you should open up a Vimeo account and upload your vids if you haven't done so already. I checked out your video which I thought was an interesting take on the invisible palm routine. I have to say though that I much rather prefer the Arnaud Chevrier handling which is what I perform. The main reason is because your version is not clean at all. You cannot openly show the cards and there is no visual vanish of the last card. The tent vanish of the last card is anticlimactic. You mentioned in your post to me that you thought some of my moves would make someone suspicious but honestly - you don't even clearly show the cards before each vanish. This wont fool anyone. Surely you cannot believe that your version is superior to Chevrier's handling?? There is a difference between something not looking clean because you make multiple motions at once (while people can only focus on one thing at a time), and my video performance which frankly is quite the contrary. Also, please keep in mind this is the original version and it has been improved since (the original DVD came out half a year later with several changes and the past 7 years some additional features have changed as well). For instance, the final ace is palmed face-up, it can be done at much better angles (even angle-proof), without any intermediate or advanced sleights, standing up, etc. For those reasons, it cannot be compared to Larry Jennings' or the Jennings-Chevrier handlings. Therefore I also teach both versions (also because I sometimes start performing the original and add a gag to go into mine right away). I have not and would not say mine is superior. Absolutely not. I would however say mine is more performable then these (though not necessarily as performable as all 'Invisible Palm' variations out there, but all of them come with moments I personally felt like getting rid of, hence there now being a 'Real Invisible Palm'). And it has fooled everyone I performed it to so it definitely works. Thanks Mark - You answered all my questions. I think you understand what I meant in my post. If you watch your two videos you will see how your 2nd video which is the chevrier handling is far superior to your first video because of the ability to be more "open" with the displays. It's a great card plot and all but obviously it's not for everyone. I enjoy reverse engineering all of Chevrier's handlings of card effects but again that's not something a lot of people like to do since it forces you to think for yourself. Best of luck selling your version of this card plot. Only thing I would say is that you probably shouldn't be selling an explanation of someone else's handling - namely - Jennings/Chevrier. That's probably not ethical since it's not yours to sell. Anyway, just my opinion. I actually have permission to teach all of what is on the DVD. On top of that, I got Arnaud's permission to perform the Jennings-Chevrier 'Invisible Palm' as well. I personally asked him for these rights before I started performing it and had shot and uploaded the video back in 2007. In my opinion, it's unfair and inappropriate to call any of these versions superior though. It's all up to what the magicians in question prefer and in what situations they perform. Since I personally can't perform the Jennings-Chevrier version in the impromptu, surrounded, stand-up situations that I perform in most of the time, I have to do another version. I know magicians who prefer the 'Real Invisible Palm' and have put it into their acts and shows while being aware of the Jennings-Chevrier and other versions that would suit their situations fine as well. Similarly, I know people who prefer and perform the Paul Harris version instead. Can't blame them. From the spectator's point of view, the effects and premises still are exactly the same in each case, and different people like different handlings. Hey Mark, do people really pay you for an explanation for your handling of this effect? Seems pretty obvious from your video what's going on. I'm sure you give them some good tips that are worth the $25. I might have to toss some money your way to get those tips! What you will get is no different from our other tutorial products, meaning you will get thorough explanations (and of course performance rights) and all tips and tricks needed to be able to go out and perform the effect in rock-solid matters, including several alternatives to choose from to make it suit your situations (or to just play around with ). The aim of this particular DVD is mainly towards being able to perform the effect at great angles, to make sure you don't get busted and know what to do in case you are, and to make it suit different performance situations. In case you just want tips and tricks on your personal handlings of the effect, you might instead want to use the money on an eMprove session. Learning the effect properly is important, however, growing an individual performance style is as important and can take time. "Everything I'm not makes me everything I am." The tricks can be learned elsewhere but I find Mark's insight on the magic I've purchased helpful and unique. Personally, I shop for the thinking behind the illusions.